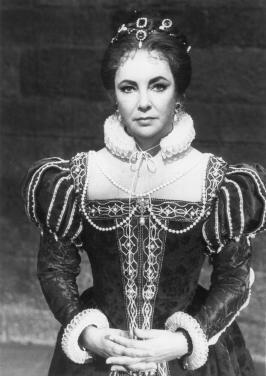 Elizabeth Taylor as Mary Queen of Scots. Elizabeth as Mary Queen of Scots in the 1980 movie, The Mirror Crack'd.. Wallpaper and background images in the Элизабет Тейлор club tagged: elizabeth taylor mary queen of scots the mirror crack'd actress. This Элизабет Тейлор photo might contain сюрко, покрывать, and surcoat.